Peter Thornton and David Hartley won our 100 mile race coming in today at 14:10. Alistair Cole and Tristan Brown came in 3rd at 17:15. All are from England. Congratulations guys! Now we are just waiting for Robert Jeffery and Scott Carey. Their SPOT is currently not sending but when we checked on them today they were fine. A lot has happened since the last update. I believe I had not mentioned that Thomas Zimmermann, Brady Kyle and Richard Charles decided not to continue and Andy Gregory also did not want to risk further damage to his knee. Another runner who did not want to go any further is Jethro de Decker. They all are back in Whitehorse. Only a few hours ago we had to decide that Jovica Spajic can’t continue due to frostbite on his nose and the tip of two fingers. That is really unfortunate because Jovica is a very nice guy and a super strong athlete. He also did have a big lead in the 430 mile foot category. However, a small frostbite can quickly turn into a major problems in these conditions and it is not worth taking the risk. Local runner Gillian Smith had to give up as well. Temperatures also took their toll on her. Nothing serious just simply exhaustion. On the positive side, we are seeing some amazing performances out there, too. And hopefully from now on there will be less participants scratching. Current leader in the 430 mile race is German Bernhard Hasenbalg. We had to hold him for 4 hours at Ken Lake because of the amount of evacs further south. Right now he is resting in Carmacks in order to avoid another cold night. 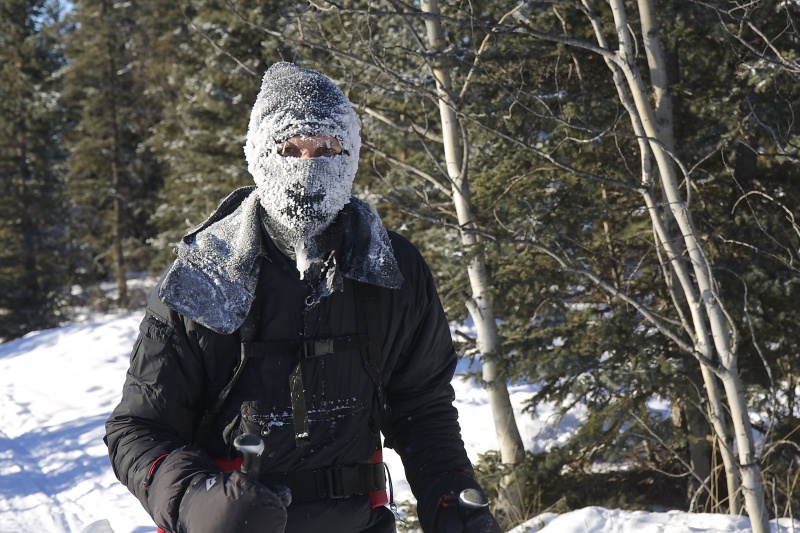 He said that last night was the coldest he has ever been in the Yukon. And Bernhard has had many cold MYAU nights in previous races already. Some of the remaining athletes looked really strong and as the race progresses we will start to report a bit more on each of them individually.